This entry was posted on Wednesday, June 30th, 2010 at 10:35 pm	and is filed under 1990s. You can follow any responses to this entry through the RSS 2.0 feed. You can leave a response, or trackback from your own site. Cheers, great to revel in this sonic turbo machine again. 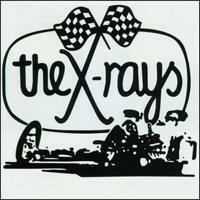 Heard The X-Rays play a concert in Doornroosje, Nijmegen, the Netherlands, somt time in the 90s I cannot possibly recall. They were nothing less than STUNNING!